“When Claude was in full flow, it was hard to disagree with her. “Masculine, feminine,” she said. “I can do all that. But neuter – that’s where I feel comfortable. I’m not going to be typecast or put in a box. Not ever. I’m always going to have a choice.” – Suzanne Malherbe. 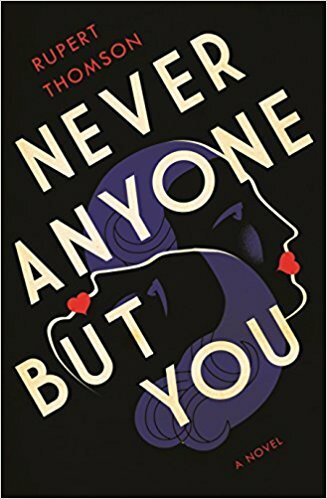 In a novel about the French intellectual elite who live confidently and proudly on the fringes of society in the early twentieth century, author Rupert Thomson explores the lives and loves of two such women who live on their own terms. Avant-garde in their personal beliefs throughout their lives, they become close friends upon their first meeting in 1909 when Lucie Schwob is fourteen and Suzanne Malherbe is seventeen. Soon they are almost inseparable, as they quickly develop very strong feelings for each other. Of the two, Suzanne is more stable, with Lucie dealing with anorexia and other issues, and it is Suzanne, who, at Lucie’s father’s request, accompanies Lucie when she needs to go to a convalescent home for several weeks in an effort to recover from a suicide attempt as a young teen. Ironically, Suzanne and Lucie are further aided in the development of their relationship when Lucie’s father and her institutionalized mother divorce, and he marries Suzanne’s widowed mother. Now stepsisters, the two can to be together all the time, without causing gossip. Traveling frequently between Nantes, Paris, and the island of Jersey, off the coast of France, for summer vacations, they explore their new lives as “sisters.” As they grow older, writer Lucie attends the Sorbonne, and artist Suzanne attends the Ecole des Beaux-Arts in Paris, where they come into contact with the leaders of France’s many avant-garde movements, such as the surrealists and the Dadaists, becoming friends with writers Andre Breton and Robert Desnos, and exploring political philosophies of all varieties. 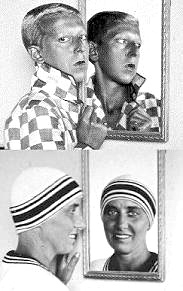 Lucie eventually shaves her head and dresses as a man, full-time, announcing that henceforth she will be known as Claude Cahun, and Suzanne will be Marcel Moore. They experiment with Marxism, even as, inspired by Freud, they also practice automatic writing. They become friends with Joan Miro, who compliments Marcel for his/her work, and both enjoy Salvador Dali. Soon they know many of the most important people involved in the avant-garde movements in Paris, while celebrating their lives and love for each other. Claude has several more psychotic episodes during this time when life becomes too challenging. 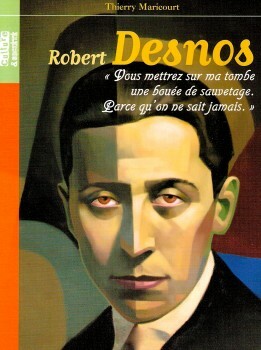 Writer Robert Desnos, a surrealist whom Claude and Marcel see throughout three decades. All this biographical and historical information in the first part of the book, while necessary to set the stage for the rest of the book, feels somewhat academic – less personally involving than the rest of the novel – though it is exciting intellectually as it includes dozens of references to famous artists and writers, such at Ernest Hemingway, Picasso, and Salvador Dali, who add interest to the story. The chronology of the book parallels the lives of its real subjects, of course, and as the action develops and many famous and not-so-famous characters appear, I sometimes found myself waiting for the next famous person to make an appearance to provide some excitement. Additionally, Claude, throughout, is self-absorbed and psychologically damaged, and Marcel is so busy playing nursemaid, and in a sense, mother, that the true, deep characters of Lucie and Suzanne are not really clear until the midpoint of the book. This occurs when, in 1937, Claude and Marcel think about moving to the Channel Island of Jersey, a place they have known since they were teenagers. At this point, the book begins to catch fire and move forward powerfully and at great speed. Part Three, “Self Portrait in Nazi Uniform,” takes place largely on the island of Jersey, and when it is bombed, Claude and Marcel really hit their stride, with Claude, surprisingly, taking the lead in an effort to defeat the Nazis. Both are completely aware of what will happen if they are caught, but Claude, who has always seemed to embrace death, has no fear of it. S/he is willing to take great chances, hoping to make great differences in the waning war effort, however naïve she may be. Creating their own personas, fabricated, in part, from their experiences in the theatre, Claude and Marcel get close to some officers in the Nazi leadership, especially when part of their house is requisitioned. Their interactions with Nazis and with local residents on the island show them both to be heroic and clever for three full years. The Germans have twenty thousand men on an island of forty-thousand people, and they have the access to the food, leaving most of the people there close to starving during that occupation. In addition, captured Russians, who raise the sympathies of Claude and Marcel have also been brought in as slaves, most of them regarding this sentence, rightly, as their death sentences. 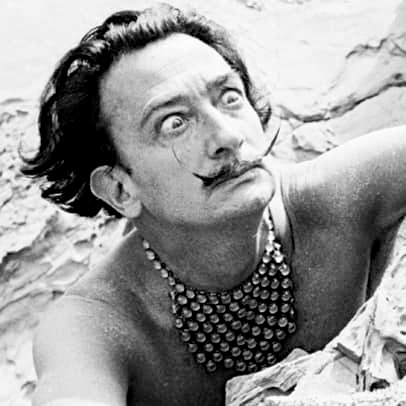 Salvador Dali, a surrealist who likes some of the work of Suzanne/Marcel. Two short sections at the end bring the postwar years to a powerful conclusion and bring the time frame to 1970, showing the changes which time has wrought since the main chronology of the novel started in 1920. Here Thompson shows his control of his themes and his characters, veering in and out of reality and ghost worlds, mirrors and truth, and exploring the psychic worlds of both Claude and Marcel. Marcel, a caring “mother” figure, something which Claude has never otherwise experienced positively in his lifetime, continues to offer succor when it is needed and to follow up when Claude disappears periodically, whereabouts unknown. Many readers may become frustrated with the behavior of Claude as s/he continues to act spontaneously, selfishly, often dangerously, despite the devotion of someone like Marcel. 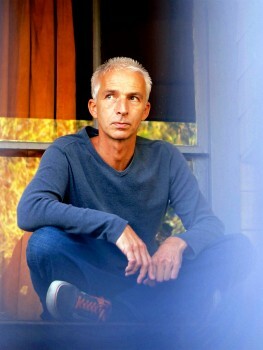 At times, when Claude attacks Marcel viciously, the reader yearns for Marcel to take a stand. Ultimately, however, no reader will ever doubt the depth of their love for each other or their willingness to sacrifice to maintain it. Channel Islands. 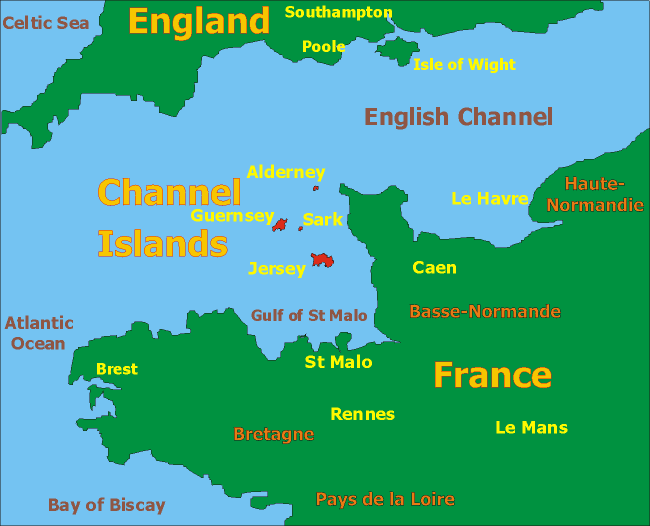 Click to enlarge, Jersey is the island nearest St. Malo. In a poignant moment late in her life, Marcel/Suzanne shares her thoughts with a young friend, “When you are old, no one can ever imagine what you were like when you were young. It’s as if you’ve always been old – or as though you’ve lived in two different lives, one of which seems made up and overblown, hard to believe. It will happen to you as well, of course, in time. But you probably don’t know what I’m talking about, do you?” Something for all of us to explore here.